The Book Review: Silence of the Lamps by Karen Rose Smith- Feature and Review + Giveaway! 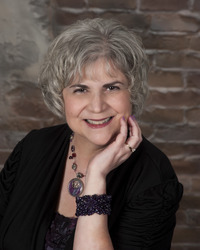 Silence of the Lamps by Karen Rose Smith- Feature and Review + Giveaway! Caprice's house staging is disrupted by Drew Pierson, a caterer who opened Portable Edibles, a business in direct competition with her sister Nikki's Catered Capers. Nikki turned down Drew as a possible partner and he seems determined to undermine and bury her. However his successful launch of a deal for his blackberry barbecue sauce must have stirred up his enemies. When Nikki visits the house where Drew lives with his grandmother to resolve differences, she and Caprice find him dead--murdered with the base of a valuable Tiffany lamp. Caprice discovers clues about Drew's sly business dealings--from stealing recipes from another chef, to friends who hold grudges, to a sister who will now inherit half of her grandmother's estate since Drew is dead. In the midst of her own romantic relationship upheaval, helping her uncle set up his pet sitting-business, assisting a friend care for a pregnant stray cat, Caprice follows the suspect trail, inadvertently putting herself in danger once more. Silence of the Lamps by Karen Rose Smith is a 2016 Kensington Press publication. I was provided a copy of this book by the publisher and Netgalley in exchange for an honest review. This fifth installment in the Caprice De Luca home staging series has settled into a nice rhythm now that I am familiar with the lay of the land, the characters, and of course all of our lovely furry friends. The story picks up with Nikki still duking it out with Drew, who is making her life miserable, and with Caprice being blindsided by a new development in her relationship with Grant, which seemed to be going so well, but is now skating on very thin ice. But, on a happier note, Dulcina has adopted a pregnant cat, following Caprice’s example in helping stray and feral animals. However, the entire community of Kismet is stunned when there is another murder, and unfortunately, Caprice once more finds herself at the center of things. With an unpopular murder victim, the suspects can be many, but when the number one suspect is a member of her own family, Caprice feels it’s her duty to help the case along. I think this mystery is one of the best in the series so far, with lots of surprises along the way, and I loved the attention to detail, not to mention the action getting pretty intense there at the final showdown. One of my favorite parts of the story, of course, was with the new pet sitter service and the adoption of the feral cat. I nearly got a lump in my throat as this poor kitty finally got a forever home and began trusting humans. Plus, the cat giving birth to kittens, sparks a fond memory between Grant and Caprice that made me smile. I have a special place in my heart for the pets in this series since I have two cocker spaniels and three cats. I love seeing my dog breed represented in a book. The characters are marvelous as always, with Caprice becoming more adept at crime solving, honing her amazing ability to draw people out and find clues. Once again, I must note that her methods of detection are quite plausible and Caprice is such a cool person, with her sassy and vintage style, and her sweet and sensitive, but fiercely loyal nature, who is always willing to help people, so I can’t help but like her and cheer her on. The secondary characters also add depth, plus a little humor, and of course it’s always fun to run into old friends, like Ace, plus find out what is going with Roz, who is one of my favorites. Like I have said many times, curling up with a good mystery is one of my favorite things to do, but with cozies, the experience is also like touching base with old friends, catching up with their lives, and sharing their ups and downs, enjoying good food, and favorite activities, and seeing them develop a little more with each chapter. This series quickly became one of my very favorite cozies and this installment only solidified my feelings. The only downside is that it ended too soon. This story has everything cozy mystery lovers could ask for. A solid whodunit, plenty of family, friends, and romance, adorable fur babies, and yummy recipes. I have a 15-year old cat, Kit-Kat. I had a German Shepherd named April growing up. She was amazing. 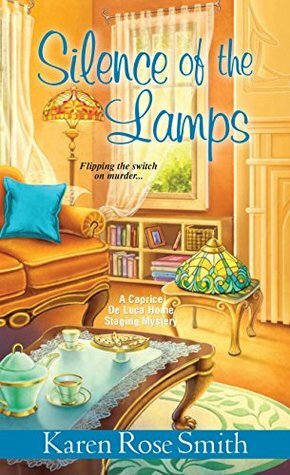 I loved Silence of the Lamps, and all of the books in the Caprice De Luca home staging mysteries series. I look forward to each new release. 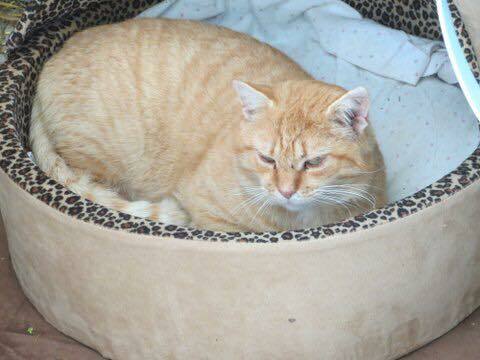 I also have a senior cat- her name is Miss Kitty. If we ever get another dog, my husband really wants a German Shepherd. They are such good dogs. I love the Caprice series too! Thanks so much for stopping by The Book Review! I have a stray that adopted me about 10 years ago. Her name is aTiki. Love her! Can't wait to see tonsee what Caprice gets up to! Thanks for the chance! Tiki! I love that name. I hope you enjoy the next book in the Caprice series! Thanks so much for stopping by The Book Review! You and I would get along fabulously. I have 3 cats and two dogs, but I'm always tempted to add more. Love all those cute names! Thanks so much for stopping by The Book Review! No cats in our home as we have cat related allergies, but we do have 4 Golden Retriever service dogs (Brooklyn, Stitches, Skittles and Faith) that are amazing! We can't imagine life without them. I have cats, but also have two dogs. Golden Retrievers are one of the coolest dog breeds ever. I love the names! Thanks for stopping by The Book Review! !